UK local and national newspapers generated some £5.1bn of revenue in 2015, around half the total of 2004 – according to a new report. The analysis by Deloitte, carried out for the News Media Association, excludes the Financial Times but looks at all other national and local newspaper businesses in the UK. It found that local and national newspapers and their websites contributed £5.3 billion to the UK economy in 2015 and that they account for 58 per cent of the total investment in news production. The report sets out the challenge faced by newspaper publishers in the UK as their audience moves to digital formats, but their income falls away. 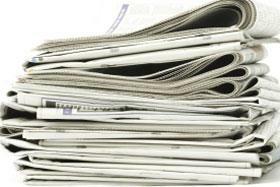 It found that some 88 per cent of publishers’ revenues comes from print versus 12 per cent from digital. This equates to £89 a year of revenue for print readers (on average) versus £15 for digital readers. Annual revenue for each print reader increases to £124 when the slice taken by retailers and wholesalers is included. The study quotes Ofcom research which notes that those who use the internet to access news are more likely to do so via social media sites (42 per cent) and search engines (37 per cent) than via the websites or apps of newspapers (37 per cent). It also found that newspapers rely heavily on third-party websites for traffic with three quarters coming from search, aggregators and social media and one quarter coming direct. The study reckons that 87,500 jobs in the UK are dependent on the news industry, with 23,000 direct employees. NMA chairman Ashley Highfield said: “This report provides compelling evidence of the significant economic, cultural and social value that news media contributes to the UK. The industry is committed to continuing to invest in original news content. “The industry performs a unique democratic function by investing in agenda-setting investigative journalism which holds authority to account such as The Guardian’s Panama Papers revelations, The Sunday Times’ investigation into FIFA, and the Jersey Evening Post’s investigation into online child grooming which was praised by the NSPCC. NMA vice chairman David Dinsmore said: “This report makes it abundantly clear that well researched, properly produced journalism which holds the powerful to account is more in demand – and more needed in our society – than ever before.